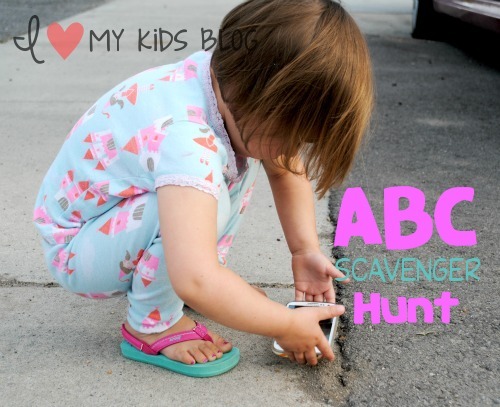 ABC Scavenger Hunt with a free printable. Great inside or out! 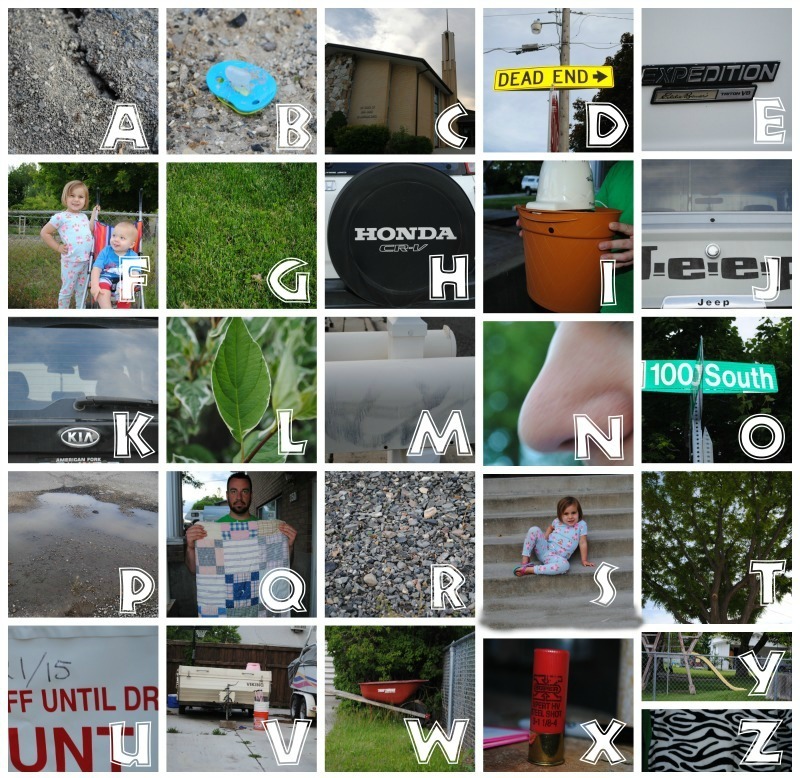 ABC Photography Scavenger Hunt- great indoors or out! Kid friendly & FREE Printables included! Scavenger Hunts are one of my favorite things to do. On Memorial Day we went on a picnic at a park and spent 4 hours there with family. When we went home we realized it was 4 pm. We still had the entire evening. We thought of what we could do, and we decided to go on a scavenger hunt. We just got a new DSLR camera and we have been wanting to test it out, so this was the perfect opportunity. We wanted a kid friendly scavenger hunt. One that was easy for kids to participate in. As I was looking online for a good one, I had trouble finding one totally kid friendly. That was when I saw on Pinterest of someone doing an ABC hunt. I loved the idea. So I quickly made up a printable for us to use and we were off to search for things around our neighborhood that started with letters of the alphabet. I have 2 different options and printables for you to use. Each printable is aimed for different age groups. Make sure to check below for the scavenger hunt you are most interested in and that fits the age best for you and your kids. This is the hunt that we did with our 3 year old. We are learning our letters right now. She know what the letter A looks like and that is about it, it’s still a work in progress. 😉 Since she doesn’t know what anything starts with we had to help her a lot! This did help her understand what things started with and she started to REALLY understand. This was a great learning experience for her! She loved taking pictures of the things we found as well. 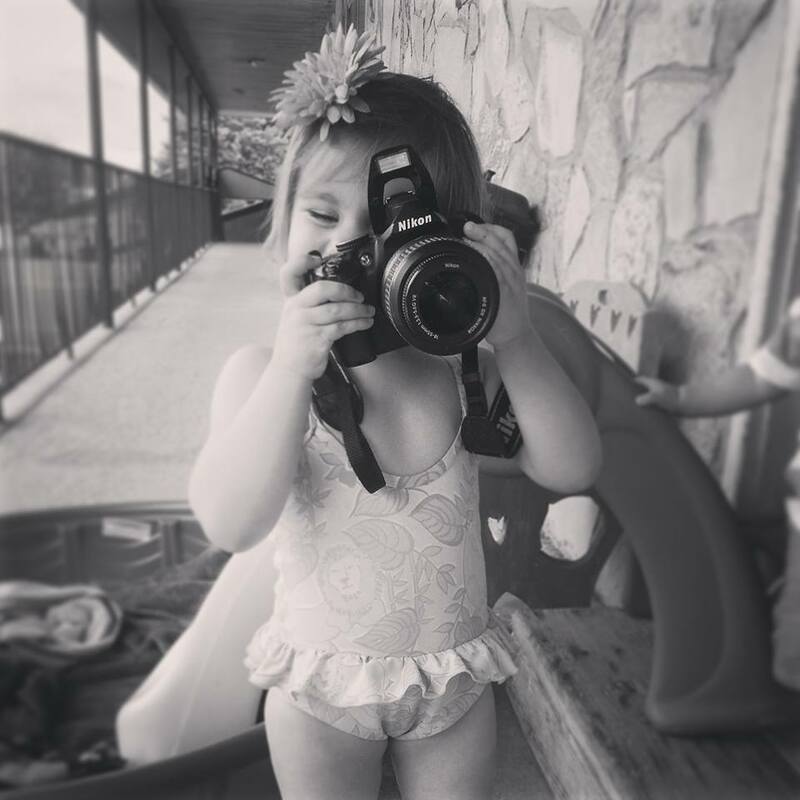 She is a photographer, just like her mama! For this scavenger hunt, your goal is to write down anything you see on your list. But make sure you put it with the right letter! As I thought how to make this one harder I came up with a few ideas. 1. Use the first printable (Ages 2-7 above) and instead of finding random things and taking a picture of it then writing it down, find everything in alphabetical order! That will be a challenge for sure. 2. I have put numerous items down that can be found outside or in public. This one would be fun to do in large groups and then dividing people into teams. Give everyone a certain amount of time to find everything. 3. For an extra HARD hunt for older kids/teens use this printable but instead of finding any of the 3 items listed find ALL of them! 4. Take the challenge and assign everyone to find only the first thing on each letter. Here is a list of our ABC finds! I hope you enjoy these printable’s and post. We had so fun with this and I hope you will as well! The best part about these hunts is to have FUN!